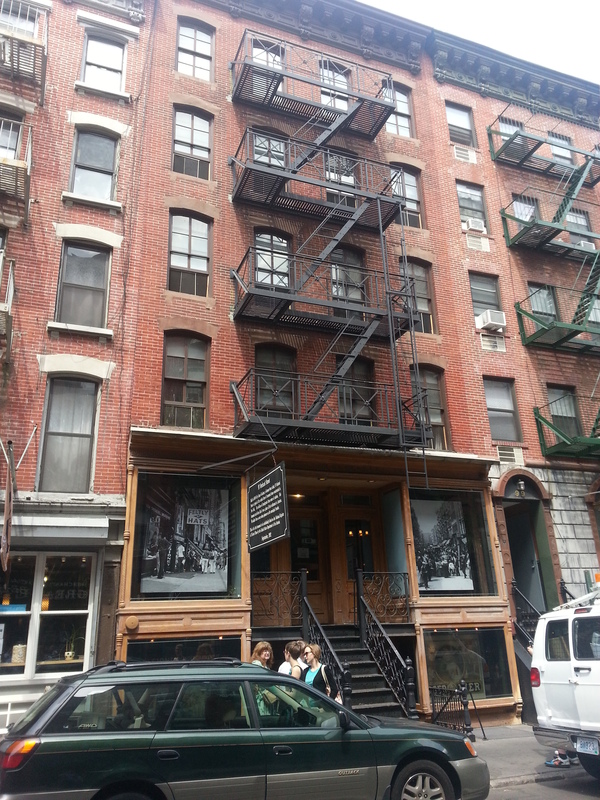 Yesterday, Charlotte and I went to Shop Life, the new tour at the Tenement Museum on the Lower Eastside. 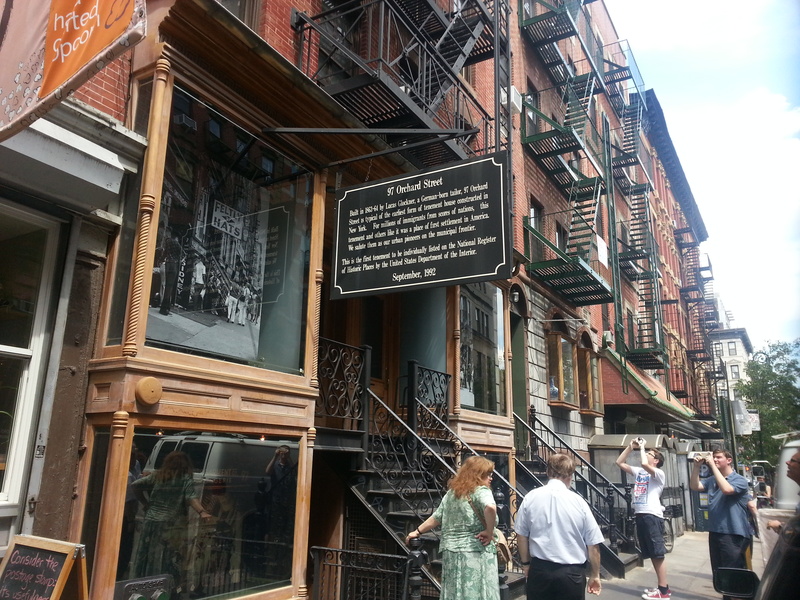 This tour came highly recommended by Chris Neville, HP Adjunct and consultant for the Tenement Museum. At first, I thought – how is this tour going to be 90 minutes but by the end I was thinking – what, it is over?!? The narrative takes you through the various business and tenants that were in existence at 97 Orchard St. and throughout the Lower East Side from the 1870s through the present day. It was a great tour with a lot of opportunities for interaction and participation. I really enjoyed getting to know all of the personal stories, looking at all of the details in the re-created 1870s Schneider Saloon and apartment, and most of all the great enthusiasm and knowledge that Sarah, our tour guide, expressed the entire time. Overall, it was great – I am ready to go on more tours!